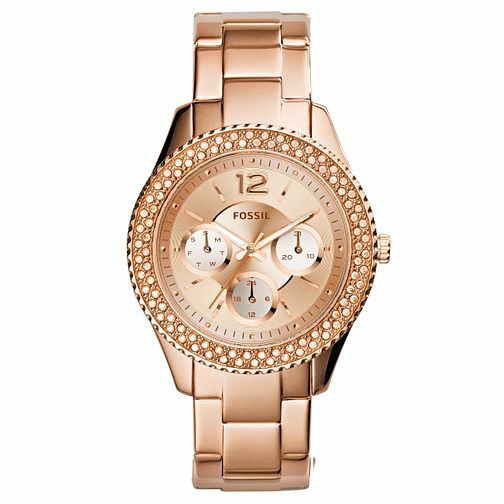 Make a statement with this chic Stella ladies' watch from Fossil! Mixing a sophisticated silhouette and classic design, this stylish watch features a rose tone multifunction dial with a shimmering stone set case for glamorous sparkle. Finished with a polished rose gold tone steel bracelet strap, this watch is effortless stylish and elegant!